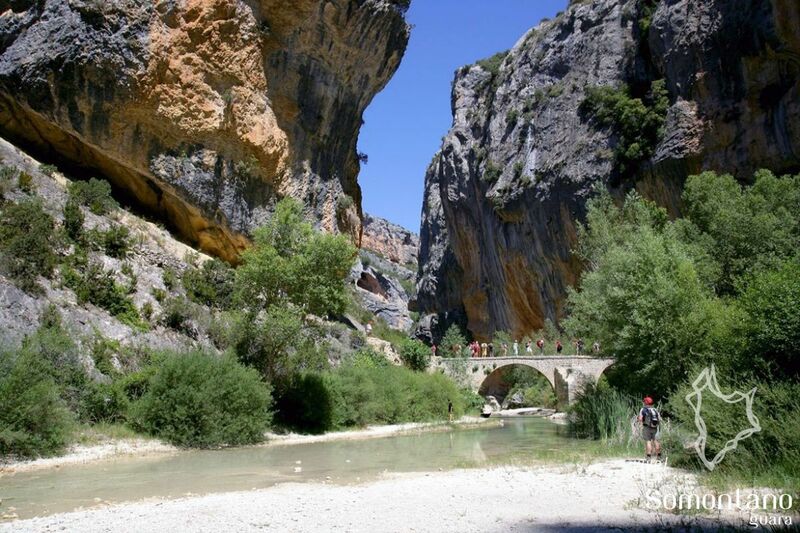 The bridge crosses the River Vero and unites the path from Sobrarbe with the road to Barbastro. 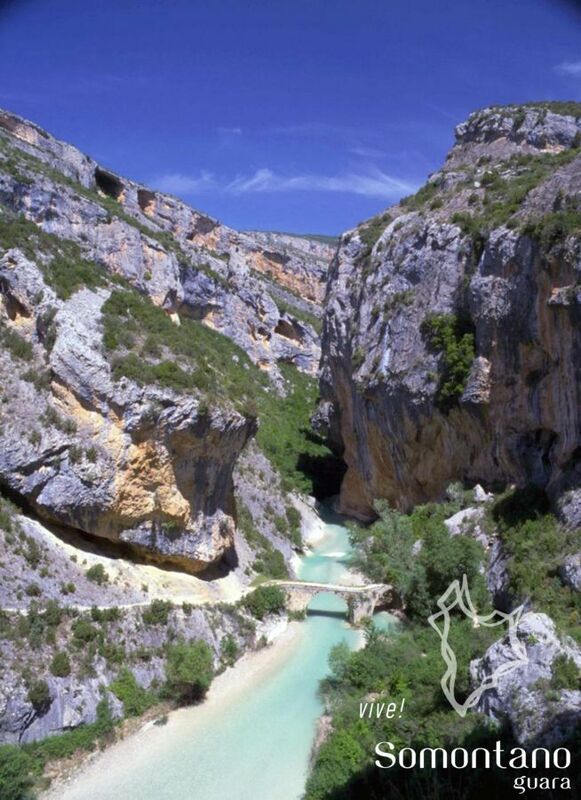 Its location at the end of the Vero canyon enhances the beauty of the environment, one of the most spectacular in Somontano. Up close it is possible to contemplate the unnecessary width of the bridge deck, considering it joins narrow and steep paths that descend from the banks. 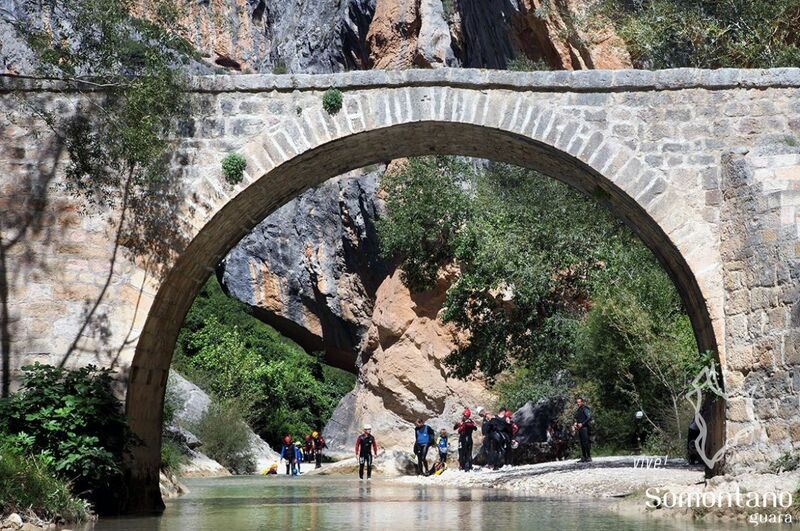 The presence of a bridge in such a difficult to reach place highlights the importance of Alquézar as a hub of communication in the past. The construction presents peculiarities that differentiate it from other bridges in Somontano including; an angled form; two spans - one semicircular and the other slightly pointed; a straight stretch of deck and another slightly inclined and an absence of a bordering wall. 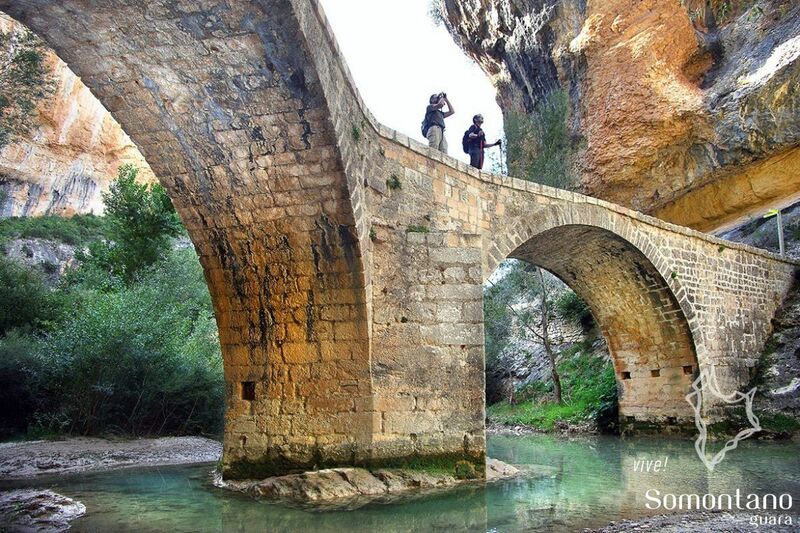 Although folklore attributes its construction to the Romans, as is the case with many other bridges in the region, it is in fact a 16th century work.